Multiple blasts ripped through the Belgian capital Tuesday morning killing dozens. As police and prosecutors work to figure out what exactly happened, information about the victims of the Brussels explosions has started to come out. Initial estimates put the number killed at more than two dozen. 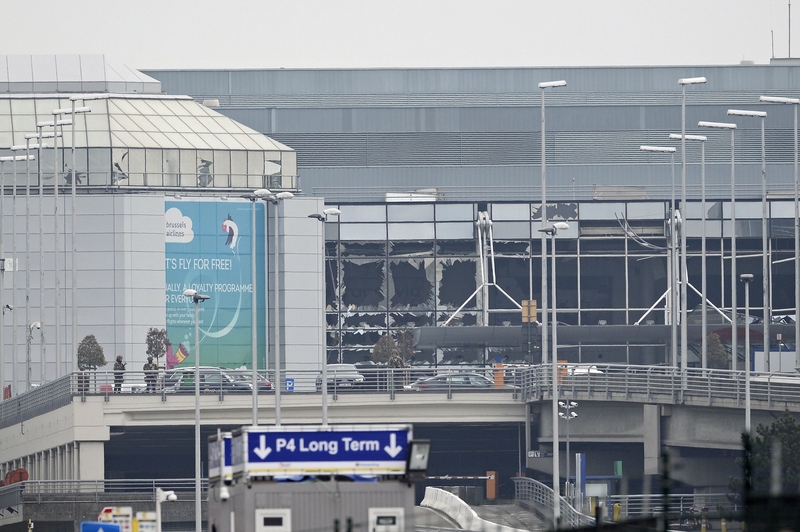 Belgian broadcaster VTR reported that 13 were killed at the airport. Another 15 casualties have been confirmed in the metro blast according to a spokesman for the transit system. As of Tuesday morning ET, the death toll is reportedly around 34 or 36. The AP reports that a total of 34 are dead — 20 dead at the subway station, 14 killed at the airport — with a total of over 186 injured, some severely. The first explosions occurred at Brussels Airport at around 8 a.m. local time in the departure hall near the American Airlines counter. Less than two hours later, the other blast went off in the metro system at the Maelbeek station — just blocks from key European Union institutions like the European Parliament. Meanwhile, the city remains on edge. Residents and travelers have been asked to stay inside. The Belgian prime minister addressed the nation. Prime Minister Charles Michel said, "What we feared has happened, we were hit by blind attacks." Here is what we know about the victims. Three Americans from Utah were injured in the airport attack, the Church of Latter Day Saints revealed in a press release Tuesday morning. Sixty-six-year-old Richard Norby of Lehi, 20-year-old Joseph Empey of Santa Clara, and 19-year-old Mason Wells of Sandy, Utah, have been hospitalized. Later, it was revealed that another Mormon missionary was injured in the attack. Sister Fanny Rachel Clain, 20, is a French national was also hospitalized. Their names haven't been released, but the Air Force confirmed a U.S. airman stationed at Joint Force Command Brunssum in the Netherlands and his family were injured in the attack at the airport. Adelma Tapia Ruiz was living in Brussels with her family. She was reportedly one of the first confirmed to be killed in the attacks, a Peruvian politician said on Twitter. Seb Bellin, who played basketball for Oakland University, was reportedly injured in the airport blast as well, his former coach said. "He has had one surgery and they said they got all the shrapnel out of his lower legs," the coach told The Washington Post. "He’s supposed to have another one to get the rest out of his hips." One Starbucks employee was injured in the Brussels airport attack. Following the news, Starbucks shuttered all of its stores in the country until further notice. According to Israel National News, a man from Jerusalem was wounded in the airport attack, the Foreign Ministry confirmed. His identity has not been released. As the story develops, information on the victims will be added.